As we have just seen, gaining a horse’s trust involves visual, olfactory and kinaesthetic contact. If I place an open hand on the horse’s neck, he will feel reassured by this permanent presence. If instead I raise my hand and lower it again a number of times, the horse will wait for contact to be re-established each time without knowing whether it will be pleasant or not. Once in the saddle the same applies. If you tend to mount leaving the reins loose, the horse will fear the moment you make contact with its mouth and hence receive what is known as… a “wake-up call”. is supposed to do. It is free to choose for itself and even to make a bad choice that the rider will quickly punish. It is this lack of communication that horses loathe; and it is what leads to them to lose trust. Contact must be transmitted by a very light pressure of the legs… only a few grams! Too much pressure bothers the horse and limits its movements. It is all in the dosage. Between vice-like legs gripped to the saddle and legs jerking around the horse’s sides, the rider must once again find the “centred position”, knowing well that the truth consists in subtlety. Contact is established through the legs (buttocks, thighs and calves) and through the hands towards the mouth, with the reins as intermediaries. Hence, the importance of the rider remaining fixed and stable in his position and acquiring what is known as independent aids. This means the capability to be able to move a leg or a hand without this having any involuntary repercussions on another part of the body. I always speak of “4 contact points”: the two legs and the two hands. They are the communication relay between the rider and the horse. These 4 contact points can be compared to “4 doors” that open and close channelling energy forwards. If the rider needs power in the hindquarters (the engine), the legs move into action, increasing pressure that will move from a few grams to a few kilos. An averagely well-trained horse must understand its rider’s requests. Contact with the mouth must also be established through supple fingers and with the arm joints free of all useless tension. The horse is sensitive to the slightest rigidity, the smallest tension… his confidence in the rider’s hands is extremely fragile. It must be safeguarded at all costs, and above all… be aware of the natural reflex that leads one to hang on to the reins and move the hands back towards oneself. 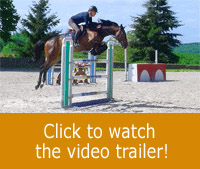 The rider must, on the contrary, move his hands forward without changing his seat and this must occur whatever movements the horse’s neck may make while jumping, extending the canter… or each time the horse needs to relax after working in a “fixed” position. 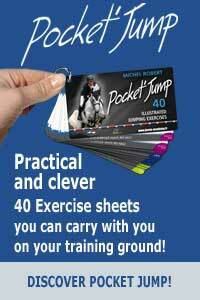 Contact will be more sensitive and comfortable for the horse if the rider keeps his hands slightly apart, at a minimum of 25 centimetres and in certain cases much more (see Chapter 8). Likewise, do not hesitate to move the outside hand forward when riding bends or corners. Remember that this contact must create a sort of reassuring framework within which the horse moves in complete confidence. 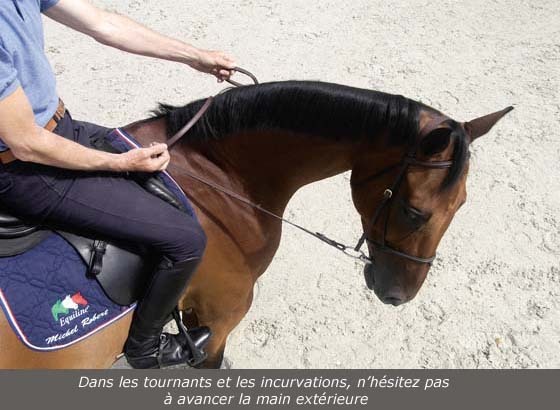 Starting from this point the rider will be able to act while allowing the horse total freedom in its movem.